If you have seen our website, which you probably have done, you will see that we call ourselves “the independent solution to finding out the best way to manage your energy”. That is exactly what we are trying to be; we’re not owned or influenced by any of the big suppliers of gas or electricity, or the government, or anyone else for that matter. We want to make it possible for anyone to see which “green energy ” or renewable technologies are relevant to their homes – and by relevant we mean what should work well, ideally saving money and reducing the amount of CO2 that is produced. In short, being “green” doesn’t mean that we all have to be a self-sacrificing, hessian vest wearing eco-martyr; to us it means that we can implement technology that will stop damaging the environment but also save a penny or two, or at the very least not cost any more money! So here we are, without a green “cause” to champion as such but with more of an open-minded concern, seeing all the hype about fitting solar panels and other renewable technologies and wondering how we can approach it. ‘With difficulty’ seems to be the answer to this question! It actually is quite difficult to get to the bottom of what is really out there, what is good and what’s not going to cost you the earth rather than save it. After many frustrating hours on the internet it became clear that there wasn’t anywhere to find out about this stuff all in one place. What was needed was a site that gave information on renewable energy solutions, how they work, and most importantly an independent and realistic assessment of what these technologies could mean to your home. Finally, it would also be nice to then get someone who you could trust to install them. With the notable exception of the Energy Saving Trust, who are excellent at what they do, it seems that the information comes from huge variety of people and companies with all sorts of motivations. We felt that there was a role for a comprehensive and independent website that could tie this myriad of information together and provide information about installers – recommended by real people. That was the driving force behind the idea for Be Energy Smart – we wanted to give people the ability to get a good idea about what green projects are achievable at home, and for what sized budget, and tell then how much they could save. Whether we have achieved it will remain to be seen, and we hope that our users will be able to contribute to the future and how our website develops. 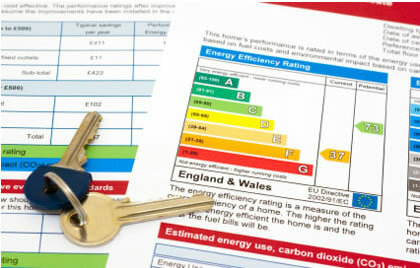 The home energy assessment that we have created is built on the calculations and algorithms of the Standard Assessment Procedure for Energy Rating of Dwellings (SAP) – this is what is used to create the EPC (Energy Performance Certificate). We like cold, hard data and know that you appreciate being given a clear, realistic and honest assessment of what renewable energy could do for you. Obviously we have had to make some assumptions so that you could complete the assessment without leaving your computer and in less than 3 minutes. Quite a challenge, as you can imagine, but we hope that we have got it right – please let us know if you have any great ideas to improve it! The inspiration behind the design of the website is your fridge at home. If the kitchen is the centre of any busy home, the fridge door often is the nucleus; this is where the first artwork gets displayed, important messages and numbers are kept – the doctor, the vet, etc – and where magnets collected from happy holidays past fight for attention among supermarket coupons and post-it notes. It seems a likely place to display your home energy usage so we have tried to recreate the feel of the homely family notice board. We look forward to the journey and hope you will join us in making Britain’s homes Energy Smart. This entry was posted in Green Lifestyle and tagged Be Energy Smart, Energy savings, Home assessment, Renewable energy. Bookmark the permalink.